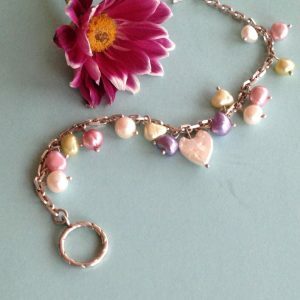 A lovely rainbow freshwater pearl bracelet, made of Sterling silver linked chain. Mixed pearls in soft pink, lavender, lime greens & cream. 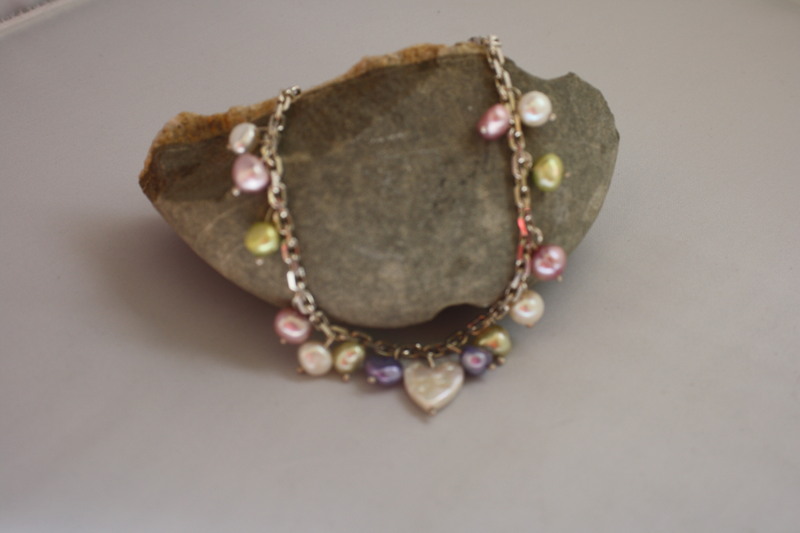 Cream white Mother of Pearl hearts compliment the soft coloured pearls. The variety of colours in this bracelet makes it a perfect choice to wear. Finished with a good quality Sterling silver toggle clasp for the closure to finish the bracelet. 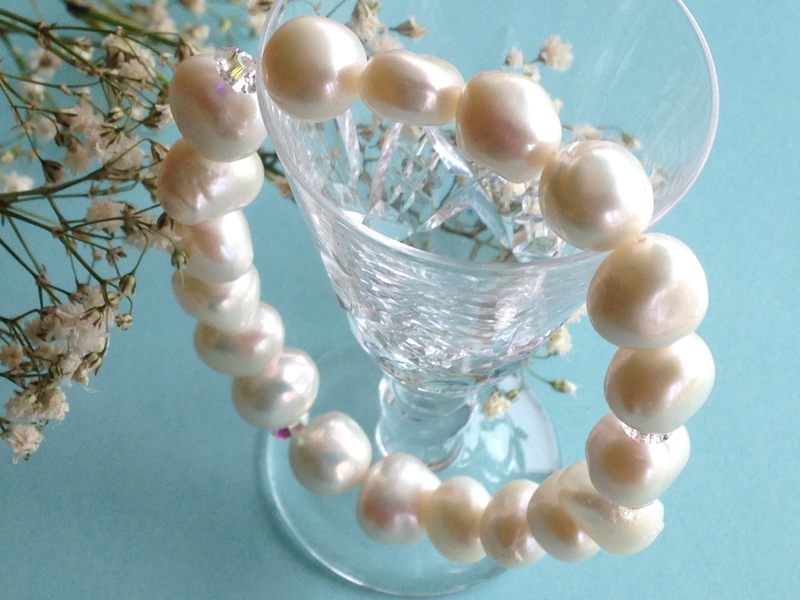 This is an ideal bracelet for a bride or bridesmaids for that special day. 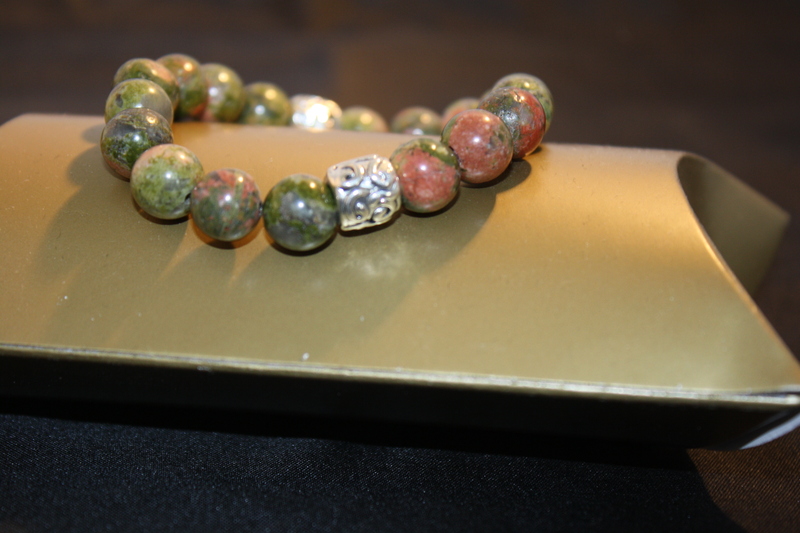 Unakite bracelet,greens and reds, healing properties smoothes aches and Pains balances heart and circulation.